Welcome! 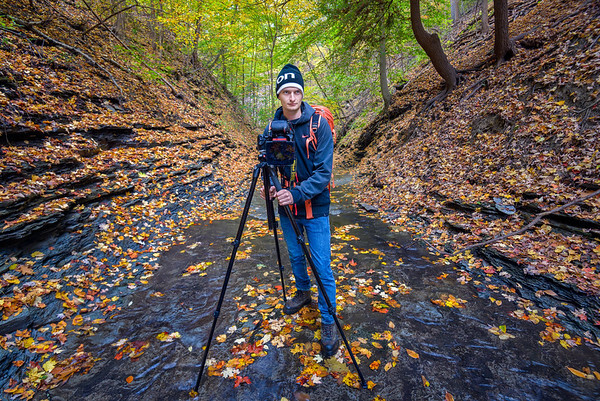 I am an 28 year old photographer based out of central Ohio specializing in fine art landscape and nature photography. I am an avid outdoorsman and have always had a love and fascination with our natural world. It is this passion for nature that has led me to my career as a full-time professional botanist and wetland scientist. Nature is my sanctuary; it is a place that I go to find peace and disconnect from our fast-paced society. I spend nearly every moment that I can immersed in wilderness, and I enjoy traveling to new places and experiencing different habitats from both a photographic and ecological perspective. I picked up my first DSLR camera several years ago, and I started out photographing all of the interesting flora and fauna that I would encounter on my travels. However, I have always been an artist at heart, and it wasn't long thereafter that I began to look at photography with a more artistic approach. I thoroughly enjoy using a camera as a means to communicate with others the stunning beauty that nature holds. My hope is to inspire people to get out to visit some of these stunningly beautiful places that we are so fortunate to have, many of which are right here in my home state of Ohio or only a few hours drive away!